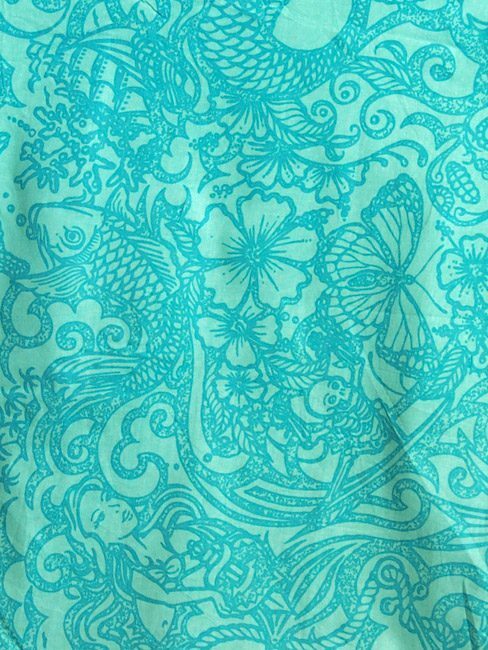 Home / Beach Pants / Beach Pant: Tattoo Turq. Cotton Beach Pants: Light, loose and comfortable with big pockets and a draw chord waist. Perfect for the beach, yoga or just chill'n. 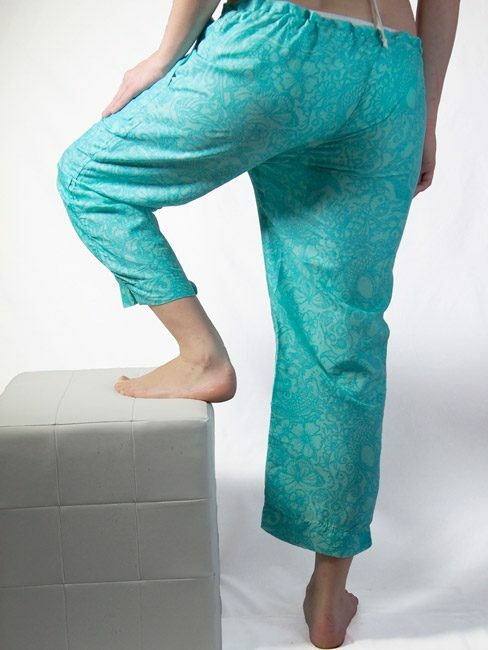 Beach pant made from 100% cotton, each with a unique design. The pants are very light, loose and comfortable to wear at any time of the day. The beach pants also come with big pockets and a draw chord waist, so you won’t carry stuff in your hands all the time. Perfect for the summer sun, roaming the beach or just plain chilling. Heaps happening in this print! Mermaids, sailing ships and skeleton ghost surfers. Not to mention all the sea-life and skulls on the reef!